With time many professional services are coming up in the market, TruckGuru is one such that gives every customer wide new options. Are you planning to relocate or shift? 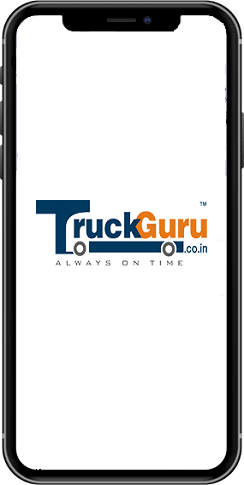 Seek the help of TruckGuru which is an online truck booking facility from the ease of your smartphone or tablet. The best thing about this online truck booking app or website is that it gives you the freedom to book truck for all your good movement in few seconds time at an affordable price range. There are many Packers and Movers in Vadodara, but there are certain facilities and features which makes us different from contemporary service providers. 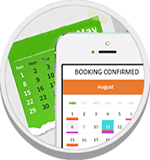 Not only it comes with customer satisfaction, but at the same time, they give you the chance to book services from your smartphone. In this age of internet and latest technologies, download TruckGuru app to book Packers and movers in Vadodara services within moment's time. Isn't it unique? What's more exciting about their services is that you can select from a wide range of truck variants. There are all types of carriers available which make it easy to deliver goods to your desired address in quickest possible time. Deliver all your essential and valuable items at a very low cost, something which singles out from all contemporaries in the market. With 4.166 million of the population, industries growing in Vadodara is always in need of truck services. Thus to aid those businesses, TruckGuru has been running their business in Vadodara to help people with relocation, shipping services, and cargo movement to any place in Vadodara and outside. TruckGuru is a popular Logistic service Vadodara and an online truck booking platform that offers truck transportation and freight forwarding solutions. TruckGuru allows online truck booking in Vadodara for any type of truck, from anywhere in Vadodara. Whether you need to move goods from Maneja to Dumad or from Vadodara Main City to Anand or may be anywhere in Bangalore or Mumbai. You can confirm all your trucking needs under one roof. Compared to other online truck booking service providers, TruckGuru is able to offer cargo services in Vadodara to cater all type of movement of goods, both in full load and part load capacity. You can take advantage of both online truck booking in Vadodara or download their app to hire trucks. We offer logistic services in Vadodara by providing full truckload in models like - Eicher, Tauras, Tata 407, Mahindra whereas Part Load includes parcel, packages, and bulk courier delivery. TruckGuru is also able to support good transportation of the customers in Vadodara and cross-demographic locations. TruckGuru is one of the user-friendly online platform integrated with some of the outstanding features and comes with easy navigation to book movers and packers in Vadodara and Truck Rental Services Vadodara. Logistic Services Vadodara helps the users to connect with a network of thousands of truck drivers in Vadodara. TruckGuru has brought a revolutionizing online truck booking in Vadodara that allows pick up within the city and across the country. 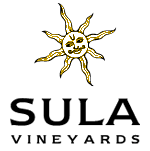 The services are user-friendly, rapid and cost-effective and time-saving. It is the gateway to the golden quadrilateral connected to the most prominent metropolitans in India - Mumbai, Pune, Delhi, and Chennai. With more than 80,000 manufacturing companies in Gujarat, the truckload requirement is high in Vadodara. So, if you are looking for movers and packers in Vadodara or online shipping service or Logistic Services in vadodara - you just need to put a few taps and book your truck. One stop solution for all your relocation or shifting requirements, all from the ease of your smartphone or tablet. Enjoy hassle-free relocation with TruckGuru!